What a year 2010 was. I’m so glad it’s over. As of February 14th, my final surgery is behind me, and I’m starting to get that it’s really all over and done with. The combination of the surgery along with that flu or whatever it was that I got the week prior to surgery, really knocked me out for the entire week, but now, once again, my very strong body has bounced back and I am thrilled to feel like a human being again. The new implants are kind of weird. They still feel a little strange, but they look very similar to what I looked like before, which is reassuring. I’m recovering quickly this time, and feel stronger every day. The difference in knowing that this is my last of the many procedures, is quite pronounced. For one of the first times in my life, I have a profound sense of peace and contentment in my life. 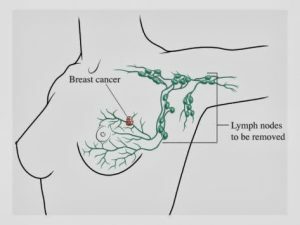 I want to share some new information that has recently been published about the removal of lymph nodes during breast cancer surgery. This new study published in the February 9th issue of Journal of the American Medical Association, found no difference in survival rates for patients who had axillary lymph node dissection and those who had sentinel lymph node dissection. Click here if you’d like to read the entire article. It continues to surprise me how much we really don’t know about breast cancer. For many years, the standard of care has been that if there was evidence of cancer found to be present in the lymph nodes, they would be removed (various numbers of nodes, depending on how many had cancer present in them). Mine were not cancerous, so they only removed 3 (it’s been standard procedure to remove the sentinel lymph node during surgery, to check to see if has cancer cells; if it has, they most likely have traveled elsewhere to other nodes and potentially other parts of the body). 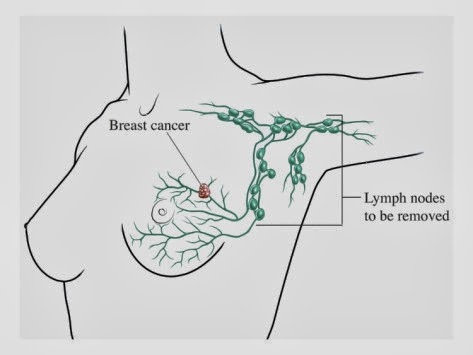 If cancer is found in the sentinel lymph node during surgery, your surgeon will most likely then remove other lymph nodes in the surrounding area and may even remove all of the lymph nodes if they appear to be cancerous. Before I had this surgery, I didn’t even know what my lymph nodes did, or why they were important. Now I know that they are extremely important because they help filter and process blood and fluids throughout your body, and when removed, they can cause a very annoying side effect called Lymphedema. Also, when the surgeon removes the lymph nodes, they may have to move around or shift around, and sometimes even cut a nerve in your arm that is in the pathway of the nodes. When they do this, it impacts your arms mobility and can cause tightness or pain in that arm. Even with only 3 of mine removed, I still find that the removal of the lymph nodes has been one of the most annoying and chronic side effects of the entire breast cancer process, and I’ve heard the same thing from many other women I’ve spoken with about their own recovery. 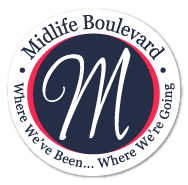 In my case, I have had constant tightness in my left armpit and shoulder and numbness in my left hand since the original lumpectomy last February 2010. 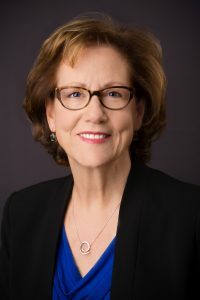 Many other women who have their lymph nodes removed, suffer from Lymphedema (swelling and numbness of the arm) which can become a pretty difficult and chronic problem. 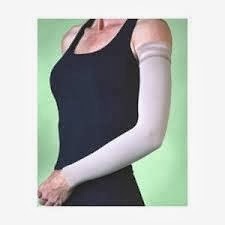 Many women with lymphedema need to wear a sleeve on their affected arm for the rest of the life, similar to the one in the image above. Also, once you have lymph nodes removed, you need to really nurse that particular arm – no blood work, no needles, no blood pressure cuff, etc., should be done on that arm ever again. It caused additional concerns for me when I had chemo, because it left me with only one useful chemo injection arm which caused some scarring and just generally messed up the veins in my right arm. So this new information is very relevant for other women who may one day have to go through a lumpectomy or breast cancer surgery. ASK YOUR DOCTOR before they do the procedure, whether or not they plan to remove your sentinel lymph node. Also please have a discussion with them prior to surgery about the positive vs. negative side effects of removing any of your lymph nodes. If I didn’t have to have mine removed, it would have made a big difference in my long term side effects and recovery. Once again, another reason why you have to be your own advocate, remain informed and ask questions during any medical process. Claudia, I saw this report on the news recently, and I almost cried, thinking that I wish they’d come out with that last year. I hope your side effects from having the lymph nodes removed that you did don’t get any worse over time, and maybe fade over time instead. Lindsay Rosenwald http://www.lindsayrosenwald.com/lindsay-rosenwald-director-republican-jewish-coalition/ Lindsay Rosenwald – Director Of Republican Jewish Coalition and his accomplishments in field of Biotechnology. 2 Days before surgery, I called my DR who returned and informed her I do not want axillary dissection even if they find 1-2 nodes that are +ve… I sent her the articles I Read… she was accommodative, read 5 articles I sent explaning why axillary may not be necessary. She replied late into night, early mornings… ending with she will respect my wishes. She asked me to think it over and give her a final decision day of surgery, which was 3/25/2015. Just before I was put on general, she asked what my decision was. I said I wanted to cancel the axillary clearance part of that surgical contract. She cancelled it, had me initialled it in front of the surgical team, repeated my cancellation, then put me under general. I had lumpectomy done simultaneously with reconstructive surgery on my right breast at the same time. DR told me she took out 1 sentinel node for analysis. Will be seeing her on 4/02/2015. And i did exercises on the right arm…it aches and I think some nerves might hv been damaged coz the middle finger knuckles of my right hand feels tight when I close it.. I decide to hv massages after my daily walk. Will write back and share with everyone. I find that massage and exercise are really helpful with my upper body “tightness” so sounds like you’re on the right path. 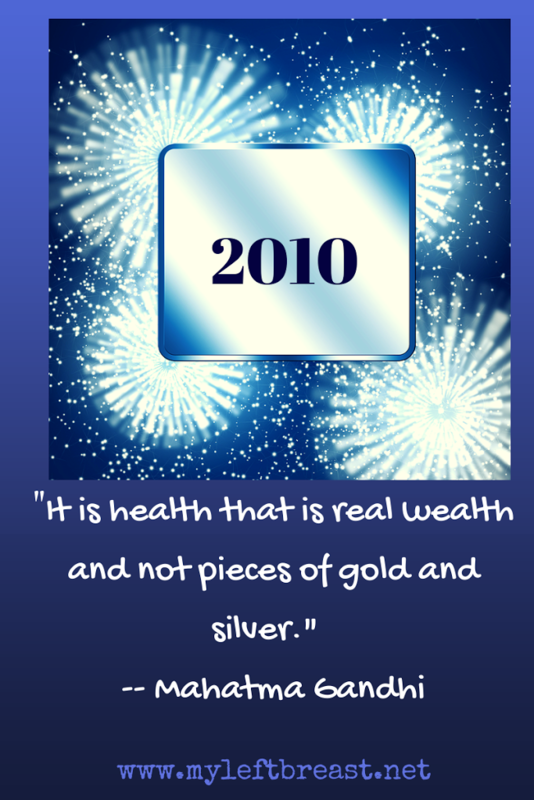 Thanks for sharing your journey and I am sending healing thoughts to you.